Recently, Paradigm Properties CEO Kevin McCall rolled up his sleeves to roll up some burritos to benefit Hearth Shares, an innovative program that provides direct support to nonprofit organizations working to end homelessness in Boston. Founded by McCall, Boston’s Hearth Shares program encourages diners at 27 of Boston’s finest restaurants to make a small donation to those in need during the “giving months” of November and December. Joining him behind the counter were WCVB-TV 5’s Bob Halloran; Jeff Gates of the Aquitane Group, whose nine restaurants are participating in Hearth Shares; and Rick Musiol of the Citizens Bank Foundation, which is underwriting all of Hearth Shares’ expenses so 100 percent of diner donations will help the homeless. Together, they rolled over 60 burritos, raising $700 to kick off the program. 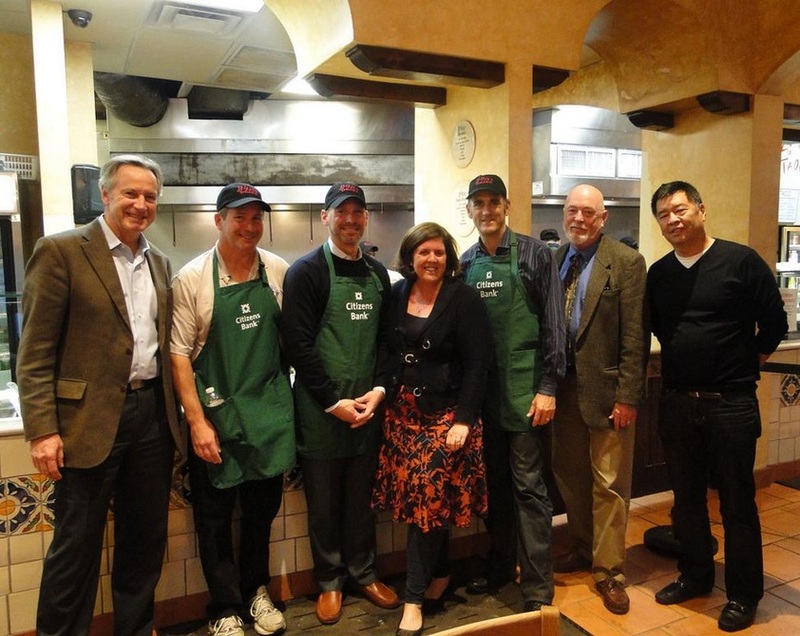 You can learn more about Hearth Shares and participating restaurants at the organization’s website.